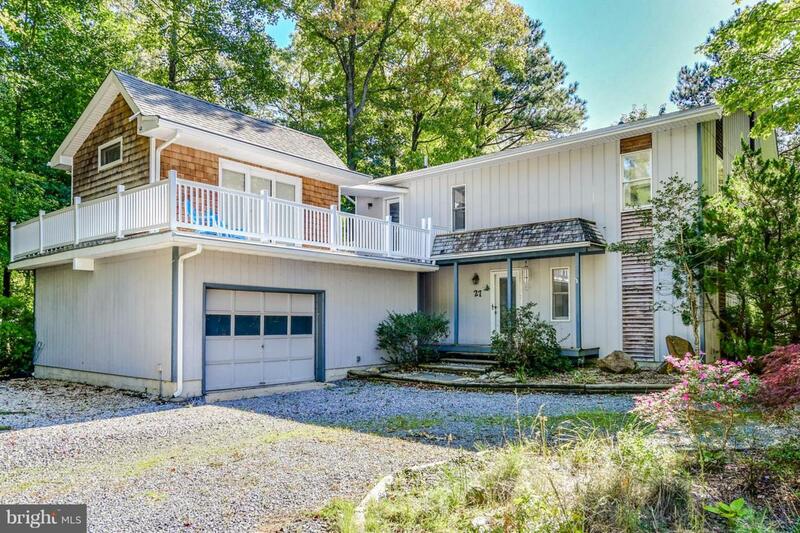 Spacious and bright contemporary waterfront home offers three-bedrooms in the main house with an in-law suite or guest quarters above the garage. The natural southern exposure combined with extra windows, offers homeowners lots of natural light. High-efficiency design utilized a conditioned crawlspace, passive solar heating, and a new 17-SEER 4-zone HVAC system for inexpensive year-round comfort. Inverted floorplan offers a spacious and open 2nd floor with elevated views of the water, prime for entertaining. Solid stone countertops, new 30yr roof, upgraded appliances, maintenance free gutters, energy star sliders, and many more upgrades await in this extremely energy efficient home.